In the banquet room [at the Huntington-Sheraton hotel in Pasadena], a giddy mood prevails. Feynman, although not yet the celebrity physicist he’d soon become, was already famous among his peers not only for having coinvented quantum electrodynamics, for which he’d later share the Nobel Prize, but also for his ribald wit, his clownishness, and his practical jokes. He was a regular good-time guy, and his announced topic for tonight was “There’s Plenty of Room at the Bottom” — whatever that meant. The actual subject of Feynman’s lecture was making things small and making small things. I will not now discuss how we are going to do it, but only what is possible in principle — in other words, what is possible according to the laws of physics. I am not inventing anti-gravity, which is possible someday only if the laws are not what we think. I am telling you what could be done if the laws are what we think; we are not doing it simply because we haven’t yet gotten around to it. And Feynman only barely touched on the question of why these things should be pursued — saying that it “surely would be fun” to do them. He closed by offering two thousand-dollar prizes. One would go to the first person to make a working electric motor that was no bigger than one sixty-fourth of an inch on any side; Feynman awarded that prize less than a year later. The other would go to the first person to shrink a page of text to 1/25,000 its size (the scale required for fitting Britannica on the head of a pin); Feynman awarded that in 1985. 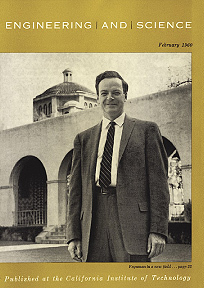 Feynman’s lecture was published in Engineering and Science in 1960 — see the cover image at right — and it’s available in full online here. The lecture is often described as a major milestone in the history of nanotechnology, and is sometimes even credited with originating the idea of nanotechnology — even though he never used that word, even though others had anticipated him in some of the particulars, and even though the historical record shows that his talk was largely forgotten for about two decades. 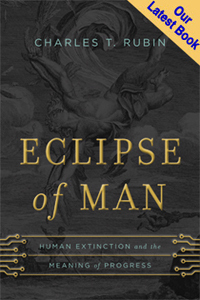 A few historians have sought to clarify the record, and none has done so more definitively than Christopher Toumey, a University of South Carolina cultural anthropologist. (See, for instance, Toumey’s short piece here, which links to two of his longer essays, or his recent Nature Nanotechnology piece here [subscription required].) Relying on journal citations and interviews with researchers, Toumey shows just how little direct influence Feynman’s lecture had, and compares Feynman’s case to that of Gregor Mendel: “No one denies that Mendel discovered the principles of genetics before anyone else, or that he published his findings in a scientific journal ... but that ought not to be overinterpreted as directly inspiring or influencing the later geneticists” who rediscovered those principles on their own. How better to ensure that your science is valid than to have one of the most famous physicists of all time pronouncing on the “possibility” of your field.... The argument is clearly not what Feynman said but that he said it. How, then, should we remember Feynman’s talk? Fifty years later, it still remains too early to tell. The legacy of “Plenty of Room” will depend in large part on how nanotechnology — and specifically, Drexler’s vision of nanotechnology — pans out. If molecular manufacturing comes to fruition as Drexler describes it, Feynman will deserve credit for his imaginative prescience. If nothing ever comes of it — if Drexler’s vision isn’t pursued or is shown to be technically impossible — then Feynman’s lecture may well return to the quiet obscurity of its first two decades.